We are delighted to offer the most indulgent columns and pilasters (half columns) to impress the most hard to please. 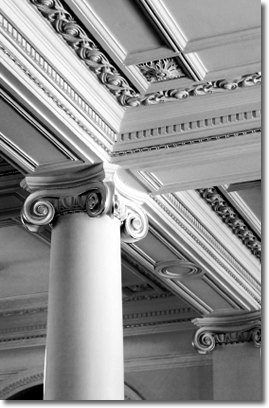 Regularly used to enhance the appearance of openings within a building, columns and pilasters are a splendid way to beautify those openings. With standard moulds available we can offer impressively priced solutions that best fit the space. We are uniquely composed to offer one off, standard or bespoke solutions to achieve magnificent pieces that fit perfectly. For exterior solutions, we can construct columns and window architraves that are built from stone, sand and cement to achieve the best suited finish. We will fully install pieces at the site once they have been built and are finished to meet our very high standards. We welcome you to call us today regarding your next project.